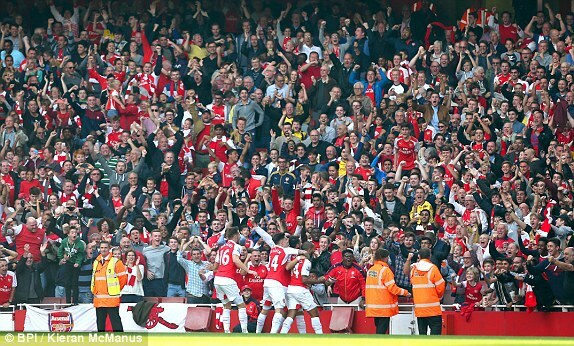 The Emirates stadium was rocking, people excited to see their beloved team. Kids, women, men, people from different religions and from different backgrounds all gathered in one place to watch their chosen team, Arsenal Football Club. It was a sunny day in London, a beautiful day of football. But everyday is a beautiful day of football isn’t it? It is what I saw the day I finally went to the home of football and witnessed one of the best games Arsenal have played this year. A game against one of Arsenal’s fiercest rivals, a game of football at the Emirates… is there a better feeling? As you will see below, I am a Lebanese/ American Arsenal fanatic currently living in Beirut, Lebanon. I come from a beautiful country. 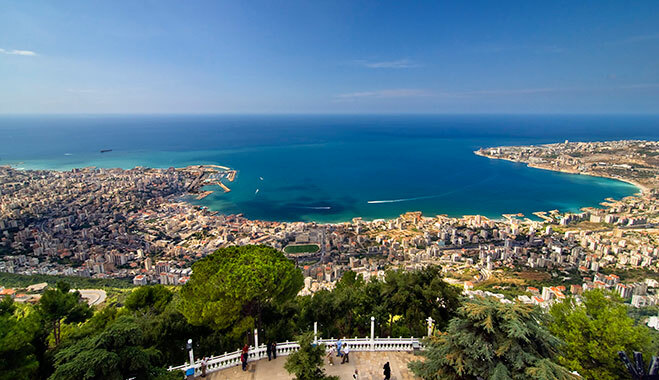 Lebanon truly is a magnificent country. Mediterranean weather, great food, beautiful sceneries and home to really nice people. And what does Lebanon have to do with my trip to the Emirates Stadium? What does it have to do with Arsenal Football Club? My love for Arsenal began when I moved to Lebanon from the United States. Lebanese people breathe football. They love the Spanish La Liga, the Italian Serie A, the German Bundesliga and of course the Barclays Premier League. And when it’s time for the FIFA World Cup, 95% of the Lebanese people watch every game. 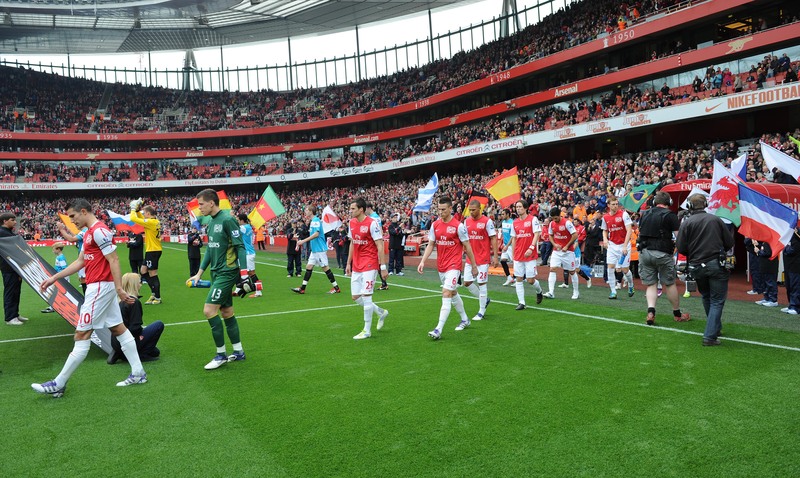 I first noticed the Arsenal play when I was about 10 years old. We had a lot of sports channels at home, and I just had to follow football. A Russian billionaire owning a team from London. An American millionaire owning a team from Liverpool. A Chinese family coming all the way from Beijing to watch a game in England. How British, Indians, Pakistanis, Arabs, Chinese, French, Spanish all play for one team, follow one team and chant for one team. What made Arsenal different from the rest? Arsenal under Arsene Wenger acquired a lot of foreigners; they once had 11 players from 11 different countries on the field. Arsene Wenger was the first non-British manager for Arsenal. He was also the first non-British/ Irish manager to win a league title in England. Wenger’s experience in France and Japan meant he had so many ideas to work with when he arrived at Arsenal in 1996. But what made Arsenal different from the rest? Coming back to Lebanon, a small country with 18 religious sects. A country that, as I said above, loves football. The problem is the people of Lebanon barely visit the football stadiums in the country to watch their favorite teams. English pubs in Beirut have more people watching Premier League games than watching Lebanese teams live on a match day. Teams are followed depending on what religion you are and what political leader you follow. Those leaders hire their sons, cousins or close friends to run the football teams and fans have to just handle the situation. Corruption of the league and the teams is something Sepp Blatter and FIFA would be proud of. Fans that do make it to the stadium end up fighting with each other (different political views) and those who care less about politics will visit but then never come back because of the farcical political tension in the stadium. Political leaders have no interest in sports whatsoever, the government does nothing to help and our sportsmen are either leaving the country or are just focusing on something other than sports. So what does that have to do with England? And the Premier League? My visit to London taught me a lot. I didn’t just enjoy the exquisite Arsenal performance, and that United got thrashed 3-0, I enjoyed every moment I had there. The different people from places around the world sitting in that 60,000+ stadium; people who were used to seeing their favorite team on TV from thousands and thousands of miles away sing and jump just like a fan from Holloway would do. More flags than the U.N.
What I also noticed was a man watching the game on my left holding the Mexican flag along with his wife, and the man on my right had a Russian flag on his shoulders. And there was I proudly holding my Lebanese flag, hoping for a change, and thanking Arsenal and London for the valuable experience. In the end, it is Arsenal, Arsenal FC. And it is by far the greatest team the world has ever seen. Gunners Town Art Of Football Competition Winner! Indeed, Arsenal is truly a GLOBAL BRAND. But the atmosphere at Emirates has to improve. Amazing how so many people from all over the world are smitten by Arsenal and like me you are impressed by the history of the club. It was really nice to have a different perspective from someone whose country is so beautiful but still has its share of troubles including the refugee situation. What a pleasure that people in a far off land get uplifted by Arsenal FC. Good read. I’m an Arsenal fan in Nigeria. Been one since Kanu’s hattrick against Chelsea in 1999. Reading ur article felt quite similar to what goes on in the Nigerian football league( the part about low attendance on match days) as everyone’s occupied watching a premier league match. Also i’d like to contribute articles to the site. How can I do this??? Thank you. Kesa you can email Dave or Paul at admin@gunnerstown.com telling us about yourself and sending a sample or tow of your work. The next article in the morning is from one of our existing writers from Nigeria.